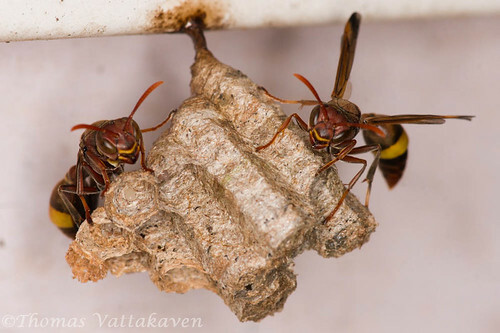 Paper wasps, as the name suggests are wasps which build their nests from paper. however, if you were expecting to see a sheaf of paper, you would be disappointed. 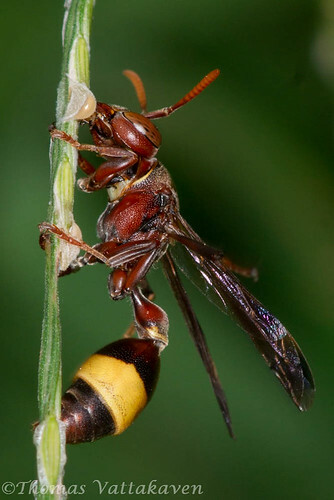 The paper that these wasps use is quite crude. 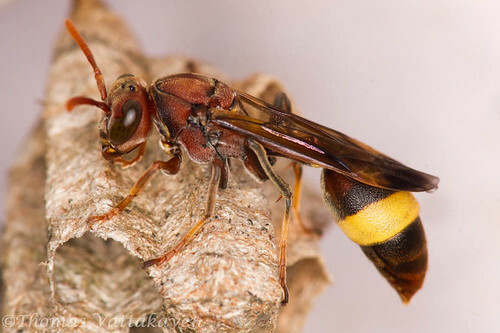 The wasps collect plant and wood fibre and chew them to mix it with its saliva to form a paper-mâché like substance, out of which the nest is constructed. 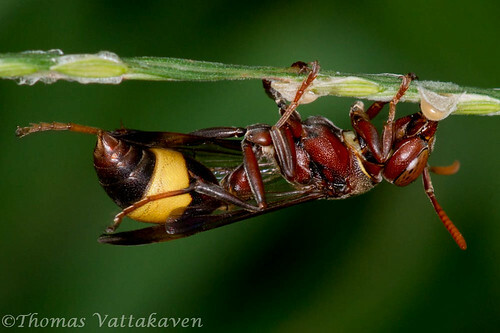 I was lucky to follow a foraging wasp and take a few images while it seemed to be collecting raw materials. 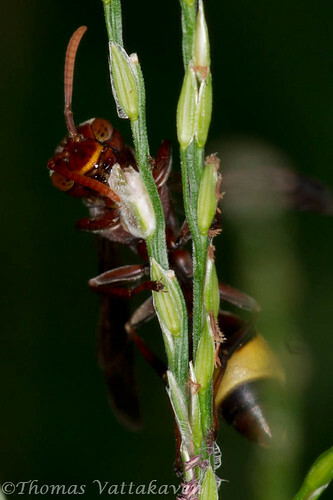 The nest of most paper wasps is a conical structure which and resembles an overturned umbrella and is attached to a surface with a stalk referred to as the petiole . 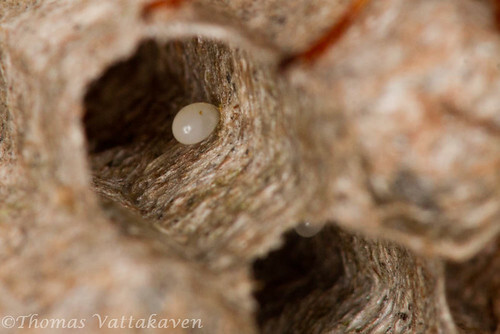 The wasps produce a repellent which is spread on the pertiole that helps to keeps ants at bay and protect the nest. 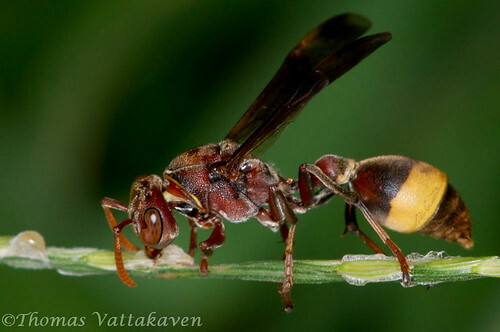 There are around 300 species of paper wasps around the world, and most of them have nests which have combs, similar to those of honeybees. These combs however are open and the egg is stuck into the comb. However, these combs seem to be closed off later, perhaps with the emergence of the larva. 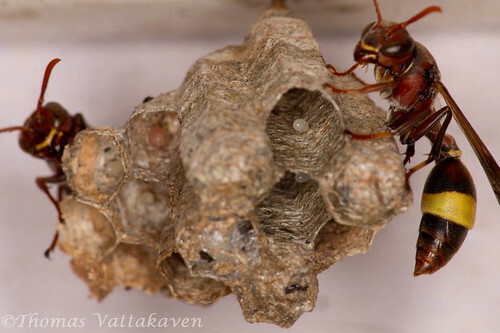 A single individual starts a colony by building a nest and takes care of the nest, the eggs, and does the foraging and feeding till the new workers are ready. She then stops working and becomes the queen and rules over the nest while her offspring do the work. 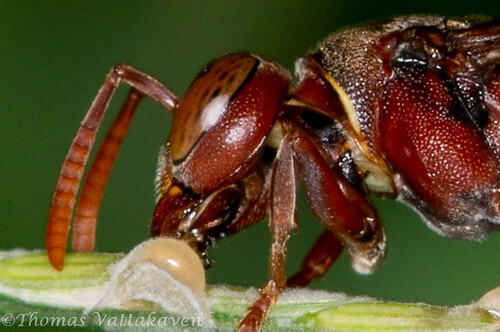 If a queen dies, one of the workers may move up to become the queen. 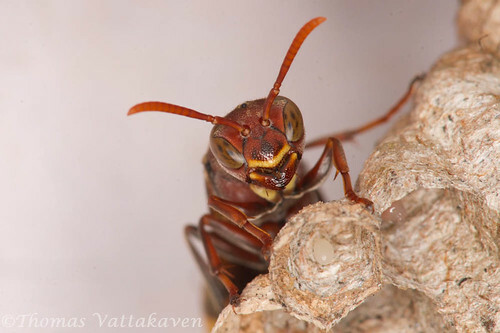 As the colony matures, and the numbers increase, males and new females are produced. The new members mate and it is only the mated female which survives to go on and establish another colony. 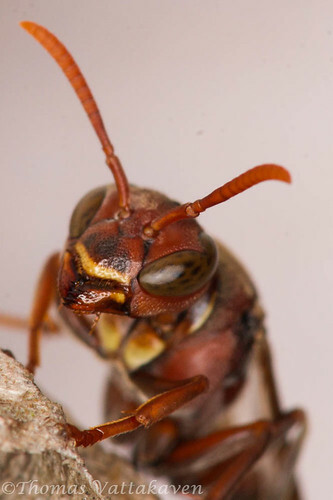 Paper wasps are usually not very aggressive, but will attack if their nests are in danger.